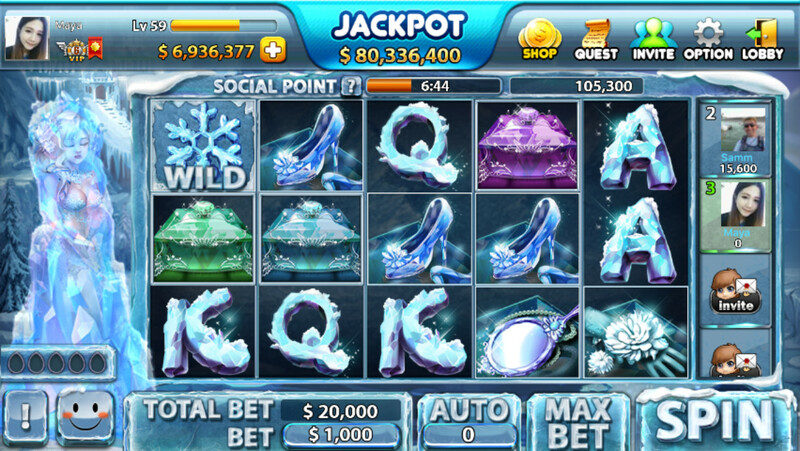 Let it spin~ let it spin~ have some fun with our Dreamy Freezy Slot where freezy wilds will be dropping like snowflakes! The ice crystal wild substitutes all symbols while only appearing on the 1st and 5th reel. 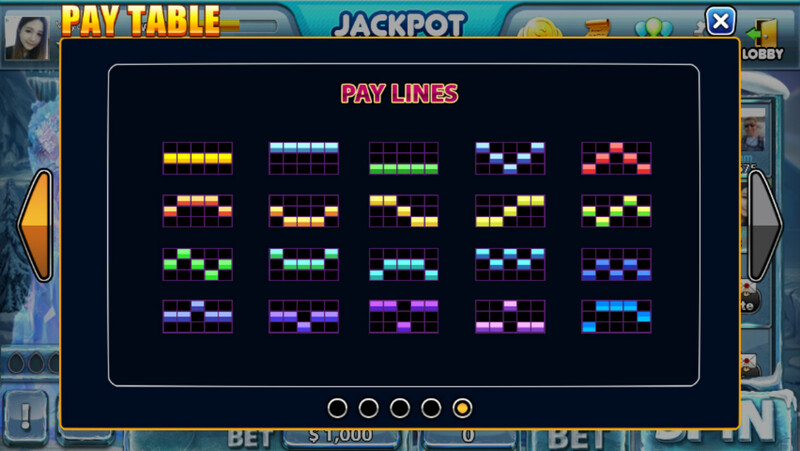 If ice crystal wild symbols are on the same line, their mobility will be activated and 2 re-spins will be awarded to player. If ice crystal wild 's mobility is activated, they will gather at the center! These 2 symbols will turn into a freezy wild and 2 respins to you. 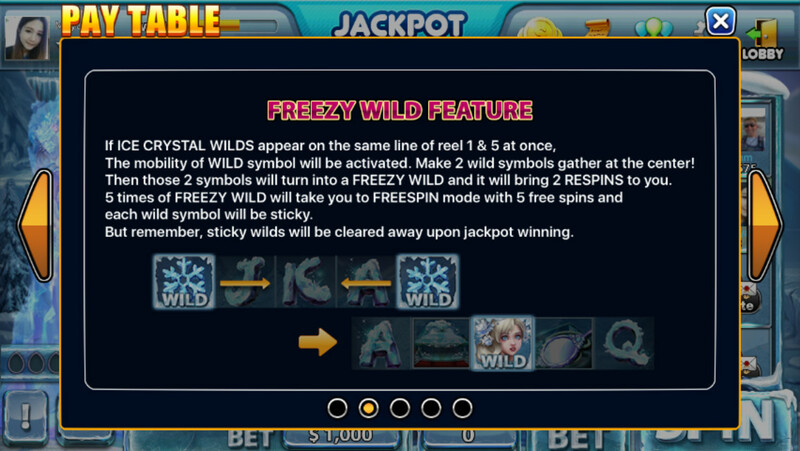 5 times of freezy wild will take you to freespin mode, which equals to 5 free spins and each wild symbol being sticky. 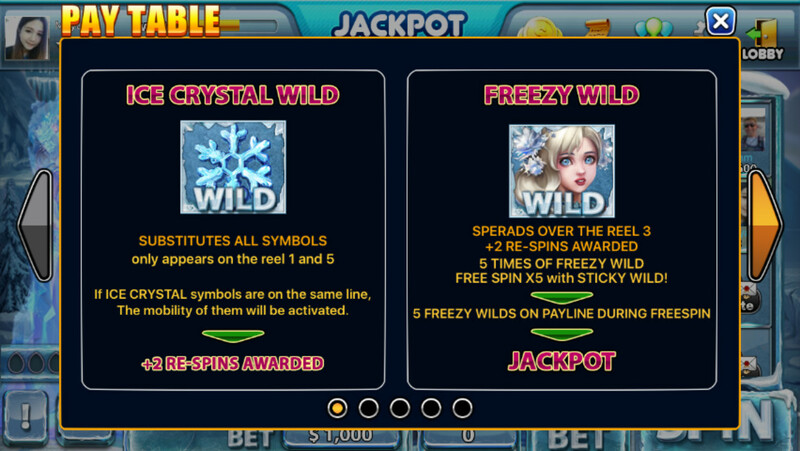 When 5 freezy wild symbols appear on payline during freespin, player gets Jackpot!